Nature has a way of spellbinding us with its stark beauty at regular intervals. There are many natural creations in this world that are considered so breathtaking that they don’t fail to enthrall us with their sights and sounds. Here are 5 of those wonders of the natural world we simply cannot seem to have enough of. The tallest mountain peak in the world, Mount Everest is located a staggering height of 9000 meters above sea level. The peak is the part of the Himalayan mountain range that stretches across India, China, Pakistan, Bhutan, Nepal and Afghanistan. It is more than 60 million years old and is also called as the Goddess of the Sky by the locals. 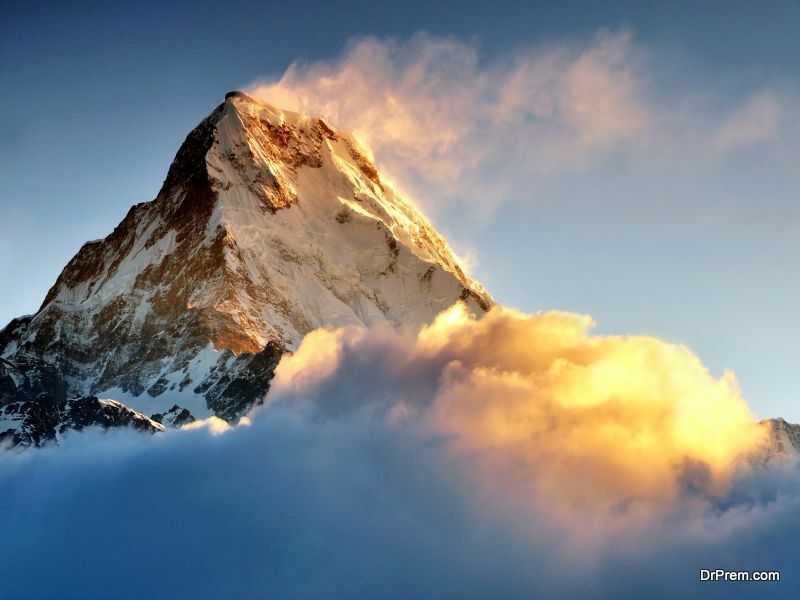 Many people have successfully reached the summit of Mount Everest and continue to strive to do so today. There are over 18 climbing routes around the mountain, taking climbers as many as 42 days to reach the summit. While factors like heavy winds, very low oxygen content, landslides and climatic changes pose a challenge to climbers, there is no dearth to the number of climbers who visit the mountain every day in an attempt to scale it. A must visit attraction in Australia; the Great Barrier Reef is the world’s largest natural coral reef system. Stretching for miles on end under the water, the reef is home to some of the most spectacular marine life on earth. Scuba divers come here from around the world to experience this first hand. 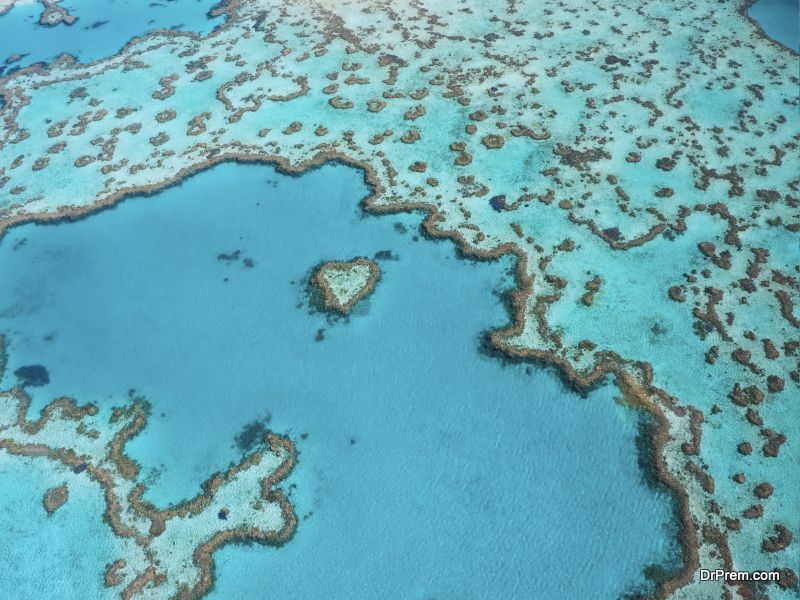 Those who prefer not to dive can still take in the wonder of the Great Barrier Reef by opting for a ride on a floating pontoon or a semi-sub, or visiting an underwater observatory. 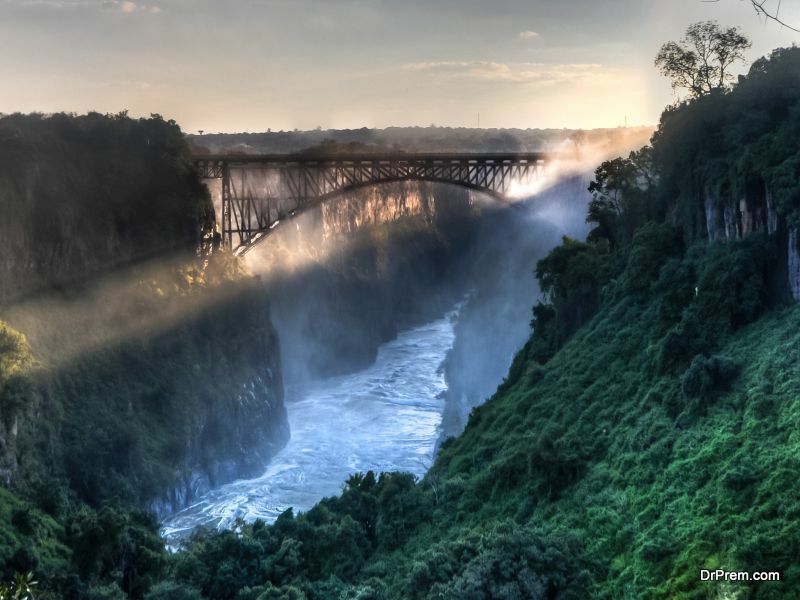 You will have to see the majesty of Victoria Falls in order to believe it. At a height of over several hundred meters in height, Victoria Falls is the tallest waterfall on earth, a fact that is compounded by its length which is just about a kilometer. The rhythm of the water gushing down the cliff can be heard for nearly 40 kilometers while the mist arising from the falling water can reach heights of 40 meters or more. This mist is what earned the Falls its name although it is also called as MosioaTunya aka ‘Smoke that Thunders’ by the locals. A true natural wonder of the world, the Aurora Borealis is a display of bright, colorful and extremely radiant lights in the night sky over high northern latitude areas (the reason it is also called Northern Lights). The dazzling display of purple, green, violet and yellow colors that streak across the sky in vivid patterns will leave you awestruck for sure. Many theories have been put forward as to the reason why these lights occur. Whatever the reason may be, taking in the awesome spectacle of the Aurora Borealis needs to be in your bucket list for sure. The lights are unpredictable so you will have to be a bit patient to catch them in all their divine glory. 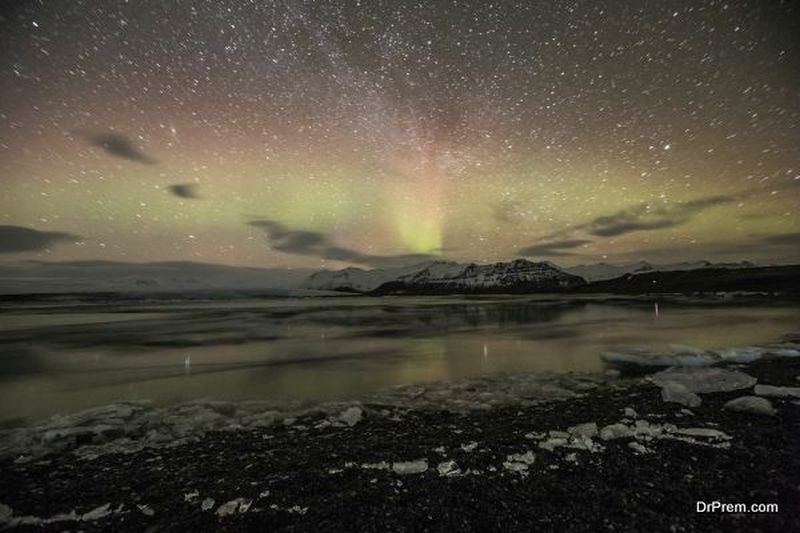 Plan a trip between December to February when the lights are more prominent. 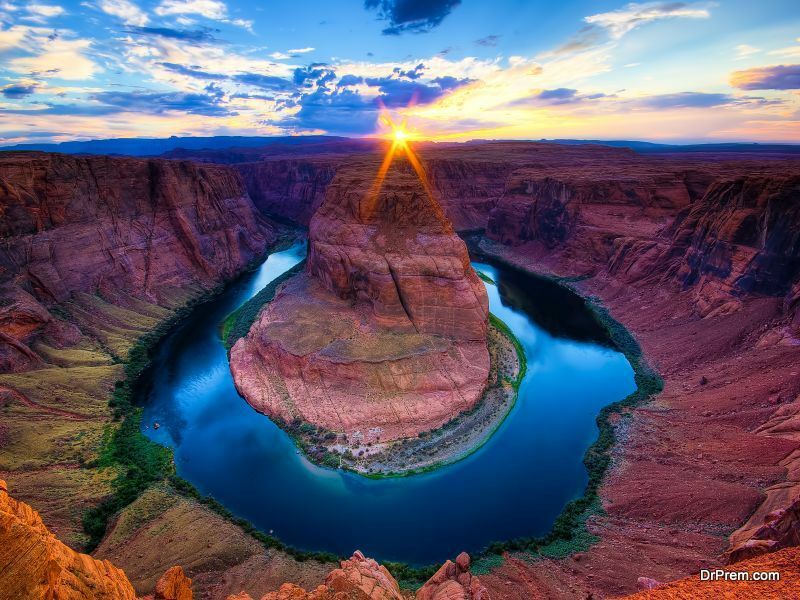 There is simply no single word to describe the Grand Canyon, the largest canyon in the world. Carved by the Colorado River over a period of thousands of years, the canyon is simply overwhelming and may be a bit too much to take in at first sight. The deep gorges and valleys play with your sights and imagination as they throw around striking amber shadows during the sunrise and sunset. There are three rims in the canyon which offer different levels of difficulty for visitors. New comers can opt for the more populated South Rim which features viewpoints and easy to traverse trails while experienced individuals who prefer a little solitude can opt for the quieter and more isolated North Rim. The horse shoe shaped Grand Canyon Skywalk is a must visit whenever you visit the Grand Canyon as well. There are many wonders in the world, both natural and man-made. Natural wonders in particular leave us more spellbound by their sheer beauty and majesty. These natural wonders are must visit attractions for those who love everything about nature.